As I reflect on our Brother's birth, and his subsequent life and ministry becoming the Savior of the world, I stand in awe and reverence of His commitment and ability to fulfill it. It takes little effort to voice a commitment, but a lifetime of struggle to complete it after the emotion motivating the commitment subsides. We generally take it for granted He fulfilled His central role in the plan of happiness. Yet so critical was His role in the Father's plan, without Him and His perfect life all else is of no consequence. Our eternal existence as souls and our life here on earth means nothing without his perfect atonement. As His young earthly mother held Him in her arms before placing Him back in the manger she must of glimpsed the magnificent but lonely life her young child was destined to lead. Did she know her own salvation and that of the entire human race hinged upon his ability to fulfill the commitment He made thousands of years earlier in the preexistence? As His earthly father felt His tiny hands and feet while wrapping Him in swaddling clothes, did he appreciate those hands; he would help strengthen over the years in his carpenter shop, would be pierced with iron nails to hold the weight of His bloody body as He hung up on a cross between two thieves? Did those humble shepherds who came to witness His birth know that He would rise again as the perfect lamb so all men could be resurrected? As you and I sang in the heavenly choirs while witnessing His birth, and with the veil not drawn over our eyes, we were able to see into eternity while the spirit bore witness this is the Son of the living God. We were there that night with our Heavenly Mother as She must have shed tears knowing Her eldest son had taken on a tabernacle of clay and would suffer all the sins, pains, and infirmities of all the Father's children. 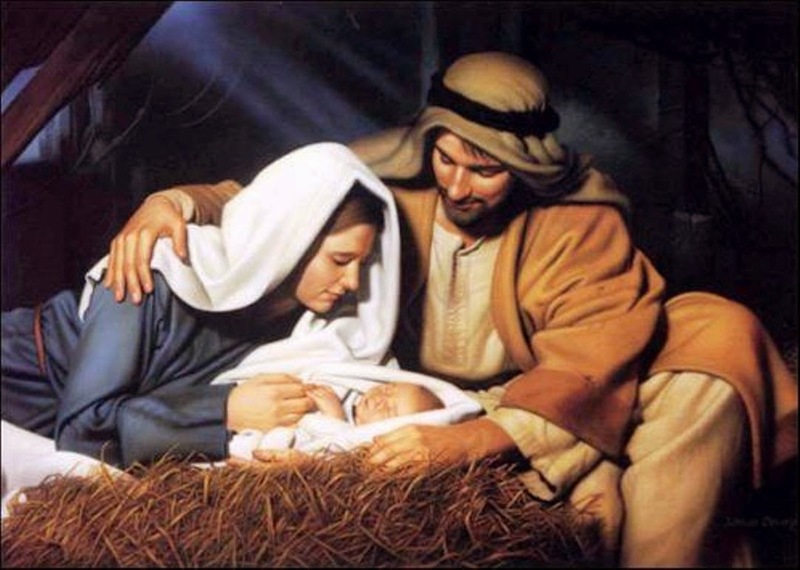 This Christmas season thank our Heavenly Mother and Father that they had the love to allow their eldest son to fulfill that commitment He made so many thousands of years ago, by sending Him to earth knowing only He could do for each of us what we could not do for ourselves - give us a chance to return and live with them again. May we each keep the commitment we made in the preexistence and offer a broken heart and a contrite spirit so we can return and live with our eternal parents once more.